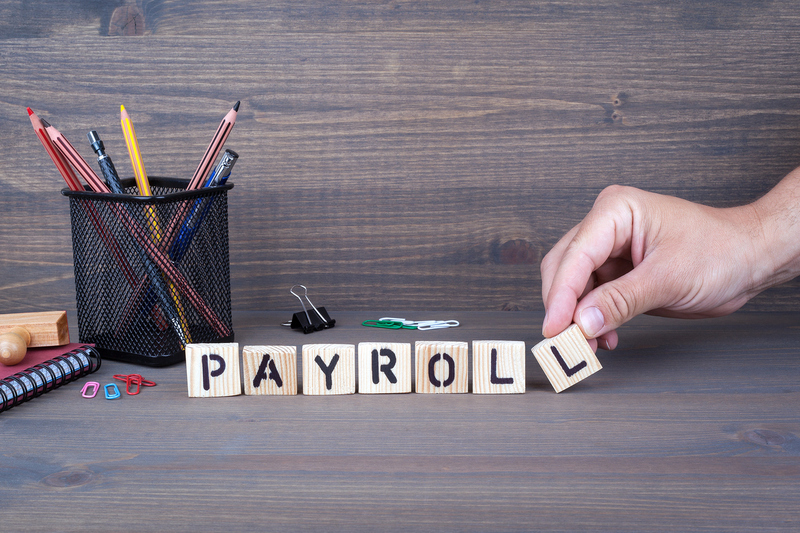 Whether you are a Business Owner, Finance Director, HR Specialist or Office Manager, there are certain terms relating to payroll that you should absolutely become familiar with. No matter what your level of involvement is with payroll at your company or organization, we’ve put together an alphabetical list of some of the most common terms that you should know. 1. Accrue – This means to build up or accumulate. As part of a compensation package, many employers offer paid vacation, sick, and personal time. There are many ways to provide this time. Often employers choose to allow the employee to earn (or accrue) a certain amount of time per pay period. Others may give a bulk amount at one time. 2. ACH (Automated Clearing House) – This is an electronic network for processing direct deposits and other payroll transactions. 3. Base pay rate – The rate that has been agreed upon to be the starting point for employee earnings. This can be an hourly rate, a daily rate, a piece rate, or salary per pay. 4. Deductions – Deductions are amounts taken from the employee’s paycheck (not to be confused with taxes). These can be voluntary amounts that the employee chooses, such as health insurance premiums, retirement plan contributions, and miscellaneous deductions, or involuntary deductions, such as a child support order or a tax garnishment. These items can be considered pre-tax or post-tax, depending on the actual deduction. 5. EFTPS – This stands for the Electronic Federal Tax Payment System. It’s used for an employer to pay federal taxes online. 6. Employee’s Withholding Allowance Certificate (W-4) – Federal Form W-4 or state equivalent is where the employee states the number of withholding allowances claimed to determine income taxes to withhold from the employee’s compensation. 7. Exempt – Amounts that are not considered part of the taxable compensation. These amounts would be subtracted from the gross pay (total compensation) before the calculations of each applicable tax are completed. Example: Employee contributions to a 401(k) plan are considered exempt from federal income tax. The contribution amount for that paycheck is subtracted out before the calculation of FIT tax is done. 8. FICA – The acronym stands for Federal Insurance Contributions ACT. It is the formal name for the combination of Social Security and Medicare Taxes. Employers are responsible for remitting FICA and Federal Income Tax (FIT) together in a payment known as the federal tax liability. This is reported on the quarterly form 941. 9. Garnishment – A legal proceeding authorizing an involuntary transfer of an employee’s wages to a creditor to satisfy a debt. 10. General Ledger – A general ledger is a tool used to record a business’s financial transactions. It includes amounts for assets, liabilities, revenue, and expenses. 11. Gross pay – Gross pay is the total pay received by the employee before taxes and deductions are removed. This includes the base pay plus any additional earnings (ex. bonuses, vacation pay, commissions, etc). 12. I-9 – This is a form used to verify if an employee is legally eligible to work in the United States. A new version of this was just released. Learn all about it and find the new form here. 13. Income Tax – Income tax is a tax that only employees pay. There are several taxes that fall into this category: Federal Income tax, state income tax, and local income tax. Federal income tax is paid with FICA as part of federal tax liability. This is calculated by considering taxable compensation on a wage-bracket method but can also be taken as a flat dollar amount or percentage. State and local income tax withholding methods vary, as do whether or not that tax is taken in that state. 14. Net pay – One way to think of this is that it’s the employee’s take-home pay. This is the amount the employee receives after taxes and deductions are calculated and subtracted from earnings. 15. Social Security (OASDI) – Social Security is both an employee withholding tax and an employer payroll tax. The employer is responsible for remitting a total of 12.4% of an employee’s taxable earnings to the IRS. They are permitted to take 6.2% from the employee as a withholding tax and “match” the other 6.2% as a payroll tax. There is a wage base limit, which means that the tax stops at a certain amount of wages for the year. This varies per year. In 2016, the wage base limit was $118,500. For 2017, the limit is $127,200. 16. Take-home pay –The employee’s wages that remain after all normal deductions and taxes are taken out This is also known as net pay. 17. Taxable wage base – The maximum amount of employee compensation subject to Social Security, FUTA and state unemployment insurance taxes. 18. Third party sick pay – Third party sick pay is compensation paid by a third party (often an insurance company or state insurance program) to an employee because of non-job-related illness, injury, or condition (maternity leave). The payment is considered fully taxable for the first six months, then becomes exempt from FICA and FUTA if the payments continue into the seventh month and beyond. These payments need to be shared with the employer and recorded on the employer’s tax returns, including employee W-2s. 19. Withholding – Subtract amounts from an employee’s wages for taxes, garnishments or levies and other deductions (like medical insurance or union dues). These amounts are paid over to the government agency or other party to whom they are owed. Once you familiarize yourself with these key phrases, you’ll feel like an expert next time you run your payroll!